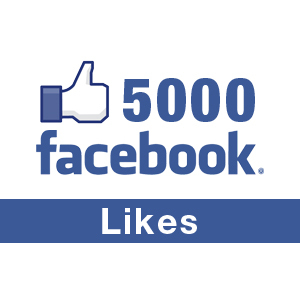 Thank You All For 5000 Page Likes Milestone Reached! This is to convey a very Big Thank you to all my Friends, Fans, Readers, Relatives, Well-Wishers and above all the hundreds and thousands of Vegetable and Fruit Carving Artists due to which I was inspired and motivated to create this wonderful Blog. Today my Facebook Page for this Blog which is located at - https://www.facebook.com/pages/Vegetable-and-Fruit-Carvings/288832714493988 has achieved a milestone Likes Count of 5002 which is a great achievement for me. Starting from a modest First Post on Thursday, August 14, 2008, to Introduce this wonderful Art to my readers, this Blog has grown from strength to strength. The creation of my Facebook Page as above and my Twitter Handle for this Blog which is available at - https://twitter.com/vegfruitcarving the growth has been phenomenal. The Blog has achieved a viewership of over 200,000 viewers from over 193 countries which has a Flag count of 256 Flags of various nations as some of them are not yet listed in the UN listing. What an honor for me! I am honored and humbled by this love and appreciation received from one and all, and this motivates me further to pledge doing more to bring you all the best of this world. The Best Is Yet To Come! Thank you once again, and let your Love, Blessings, and Motivation keep being showered on my so I can do better!